We always use recovery mode to fix various kinds of issues for Samsung and other Android device. But what if the Samsung recovery mode not working properly and received the "No Command" error, how to get this issue fixed? Here, in this post, we will guide you to fix Samsung recovery mode not working issue on Samsung S9/S9+/S8/S8+, Note 8/7/6 and earlier devices in details, just keep reading. Normally, the recovery mode not working and no command error in recovery mode on Samsung occurred when you are trying to reset your Samsung device. Also, Super Users access has been denied or cancelled when install the Google Play store or update theOS software that could result in the recovery mode not working. After figured out the reasons led to recovery mode not working, here we will show you 2 solutions to get the issue fixed. Flashing a custom ROM could help you resolve this issue. That is because a custom ROM will brings some new features and customizations, it can also be used to solve the Android recovery mode no command error.In order to do so, you need to unlock your bootloader and flash a custom recovery. To get started, you need two professional tools, one is CynogenMod,it is a popular version that can be downloaded from its website. The other one is Google App's zip file, have it downloaded by clickinghere. Once downloaded and installed,we need to put these two .zip files on our phone. Plug in your phone with a USB cable and drag the ZIP files to the phone's internal storage or SD card. Step 1:Then download andinstall the latest version ofTWRP on your device and follow the instructions on computer to install it. Once installation completed, rename it as TWRP.img and place it on the desktop. Here, don't forget to enable the developer options. Step 2: Next, you need to reboot your phone into TWRP recovery mode by pressing the Power and Volume down button at the same time. Then hit the Wipe button to reset your device. After resetting your device, then head tothe "Install" or "Install ZIP from SD Card" section of your recovery. Step 3:Locate the ZIP file you downloaded before, and select it from the list to flash it. Step 4: Once the ROM is flashed, hit on the Reboot System and then the Samsung recovery mode not working issue should be fixed successfully. The method we introduced above is too complicated,right? If you just a tech newbie, that's really difficult for you. 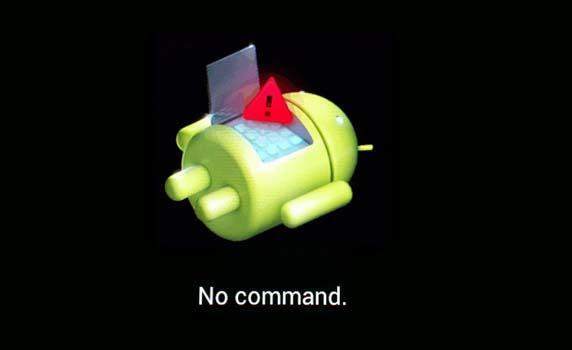 Luckily enough, here is another much easier and safer option, using Tenorshare ReiBoot for Android to boot your Android device into recovery mode when you can't boot to recovery mode without manually holding down any buttons in one click. Now get ReiBoot for Android downloaded and installed on your computer first. Then connect your Android device to computer. 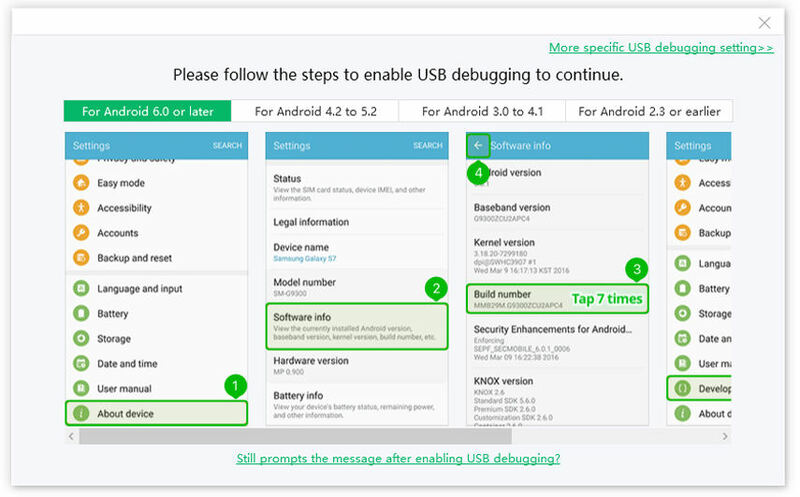 Step1: Next, you have to enable USB debugging on your device. For detailed steps, just click here. 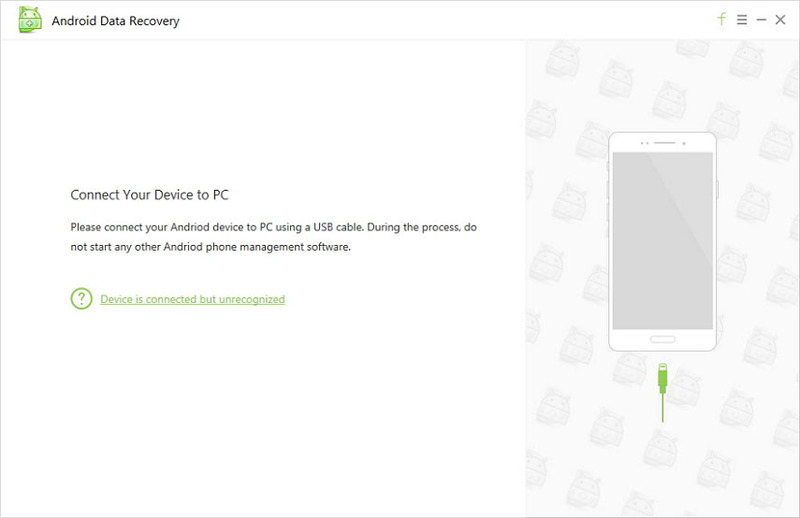 Step2: Once done, just click "Enter Recovery Mode" button to put your device into recovery mode, you can select the recovery mode option you need to use. Now, I believe you have learnt how to fix Samsung recovery mode not working and no command error after reading this post, if you think this post is helpful, just kindly share it with your friends who can't access recovery mode on Android devices.